I was driving to get my allergy shot today, an unfortunate but necessary 1.5 hour investment of time in myself, when I heard an interesting NPR Story about why old women are so often the face of evil in fairy tales and folklore. I listened avidly, as scholars from Harvard and beyond dissected our cultural crone-ology, the dominance of scary old women in Disney films and beyond. You should read the article, but at the tag end of the story, listeners were directed to post instagram pictures of women of the generation above us (very PC way to put it) who inspire us. We were to label them our #GrownLadyCrushes. 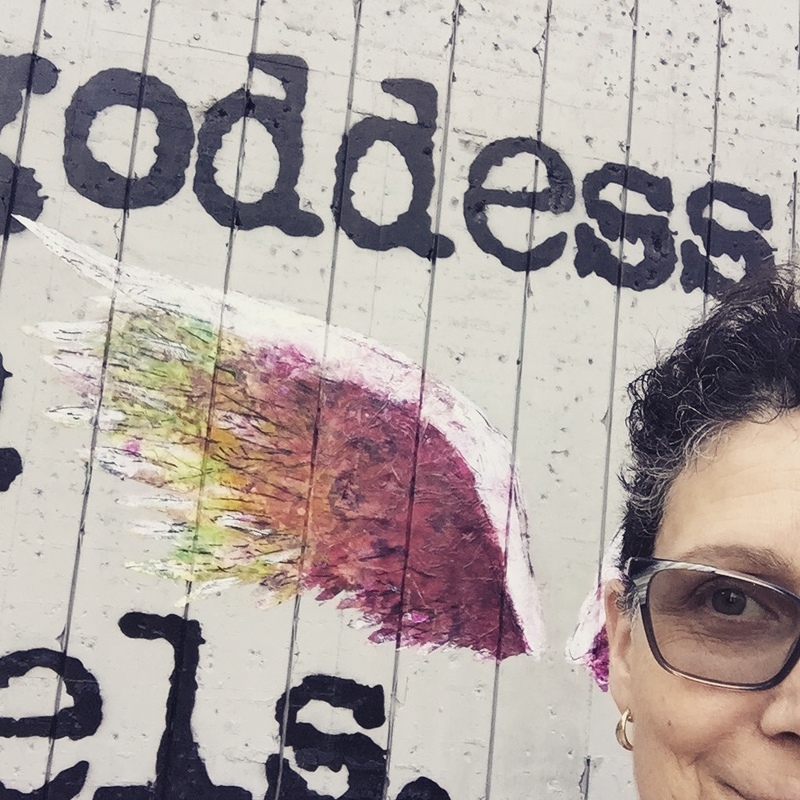 I thought it appropriate that on the occasion of my stepmother’s 90th birthday, which happens to fall on Halloween, appropriately seasonal for this bewitching topic, I would spend some time introducing you to my #GrownLadyCrush, Sarah G. Epstein. I have known Sally for a little more than twenty years, since we traveled to Vietnam in 1994 on a family planning trip organized by my father. Both he and she have had lives deeply involved in bettering methods of female contraceptives, and it was on this trip where their common interests became bonded by affection and eventually love. They have been married for more than 20 years now, and over these 20 years, I have had the privilege of learning more about Sally and her passions. She is a strong and opinionated woman, well-read and well traveled, avidly interested in helping to solve the world’s burgeoning population problem. Her frequent letters come in recycled envelopes, graced with stickers promoting organizations like “Friends of the Earth.” Frequently, she has sent birthday gifts in my name to Tostan, an organization started by Molly Melching, a young woman who moved to Senegal in 1974 as an exchange student, and began working there, helping to create a model for Community Empowerment Programs which has by now blossomed into more than 7200 communities who have publicly declared the end of FGC and child/forced marriage. Molly Melching, whom Sally provided me with the means to meet, is another of my #GrownLadyCrushes. In addition to Sally’s powerful footprint in the world and making a difference in womens’ lives, she is a passionate advocate and collector of the artwork of Edvard Munch. A self-educated Munch collector and scholar, she has written numerous articles and books, and is one of the most prominent American collectors of Munch’s lithographs. She has lectured widely about his life and work, and as a result of this passion, she has traveled the world behind her collection, which she has generously loaned to many museums hosting retrospectives of Munch’s work. Sally has written a lot about the fact that much of Munch’s work documented the three phases of a woman’s life: the virginal young woman, portrayed as a lithe figure in white often looking out to sea; the strong, passionate woman in the midstream of her life, depicted either naked, or clothed in red; the crone, depicted in black. 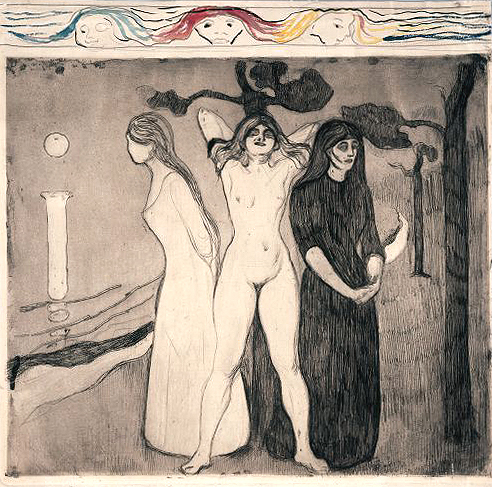 A powerful rendition of this journey we make as women is seen in his 1895 etching entitled, “Woman.” Munch utilized these iconic women in white, red and black throughout his work, including in the lithograph depicted above, “The Girls on the Pier, 1920”, which is the frontispiece of her book, entitled “Edvard Munch, Master Prints from the Epstein Family Collection.” Sally thoughtfully questioned whether the artist intended these icons to be chronological (or crone-ological) or layered aspects of any woman at any point in her life. That’s how Sally thinks – she does big picture and drill-down thinking at the same time. Sally and her former husband, Lionel Epstein, had begun collecting these Munch etchings and lithographs back in the 1960s, when, as Sally described herself, she was young, idealistic, and innocent. She wrote about her own stages of life as related to her collecting in the essay from the book above, “Living with Edvard Munch Images: A Collector in Three Stages.” In another essay entitled “The Expressionist Prints of Edvard Munch and Richard Bosman” which she co-authored with Charles T. Butler for an exhibit at the Columbus Museum in Columbus, Georgia, she discussed her life as a collector. 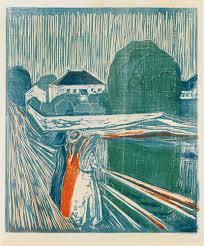 In this essay, her youthful enthusiasm about the impact of Munch’s work on her as a young woman is evident. I have enjoyed our correspondence over the past 20 years. Sally is so thoughtful about finding articles about the theatre that she thinks I might be interested in, and sending me the periodic post card, always jotted with something about a recent trip or experience she has had. She is extremely organized and disciplined, spending part of each day in correspondence with friends. I wouldn’t be surprised if she spent a good part of her time combing the papers for relevant articles just so she could reach out and remain connected with her friends and family. Sally catalogues her friends and associates from all walks of life, collecting information and updates on them, maintaining a detailed card catalogue system which I have long envied. Early noting my interest in Georgia O’Keeffe and Alfred Stieglitz, Sally has sent me dozens of postcards and many books and has always urged me to write about O’Keeffe’s early trips to New Mexico to visit Mabel Luhan Dodge, and her subsequent life at the Ghost Ranch. We’ve talked about what a fascinating play it could be. Not too long ago, she sent me an article about the hockey great Gordie Howe, and a copy of his book to Chris, because she knew about his love of hockey. Sally, in addition to her philanthropy and tireless advocacy of many causes, takes time to throw a pot or two. No, not in petulance, but she is an accomplished ceramicist. She makes beautiful natural colored bowls, and vases, many of which grace our home from 20 years as grateful recipients. In addition, due to her travels, Sally always has the most interesting gifts, brough from points far and wide and shared with equanimity. Finding a gift for her, on the other hand, can be quite challenging, though she has never seemed displeased with our presents. Sally’s life long dedication to others has been noted many times. 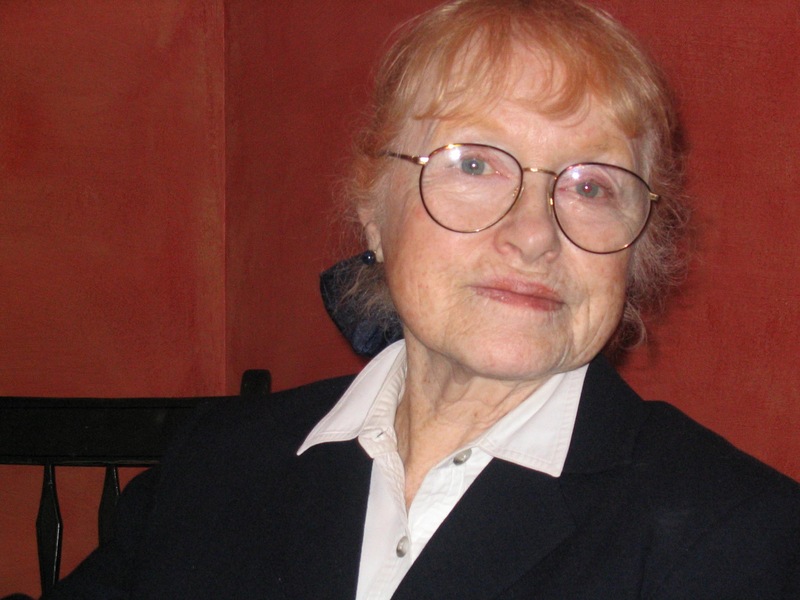 She was named the Feminist of the Month by the Veteran Feminists of America, in July, 2010, for her Worldwide Family Planning work, and her advocacy of the Quinacrine Method of Sterilization. She was presented with the Emily K.E. 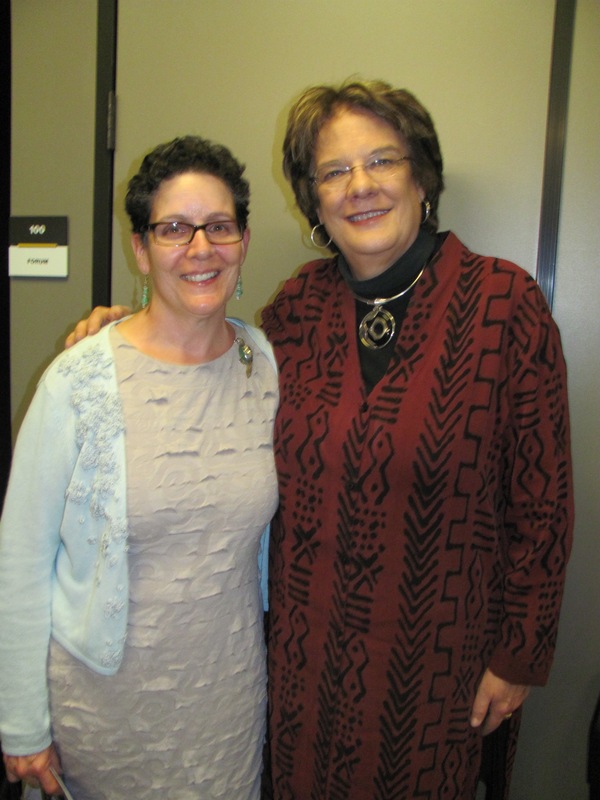 Bradley Award in 2010 for her numerous years of service to Planned Parenthood of Metropolitan Washington. A well organized Itinerary is an essential part of orderly travel. It’s easy to cook a turkey. Don’t be intimidated. Just baste it every 20 minutes or so and it will turn out fine. Nothing warms the heart more than a nice letter or postcard in the mail. Actions speak much more about who you are than words. By acknowledging other people’s interests, you validate them. Make philanthropy a part of your daily life. Find organizations you care about and support those. Keep in touch with your family. Gather them around you on important occasions. Support the arts. Go to the theatre, opera, gallery openings frequently. Have a creative outlet. Take time each day to exercise, and to be creative. 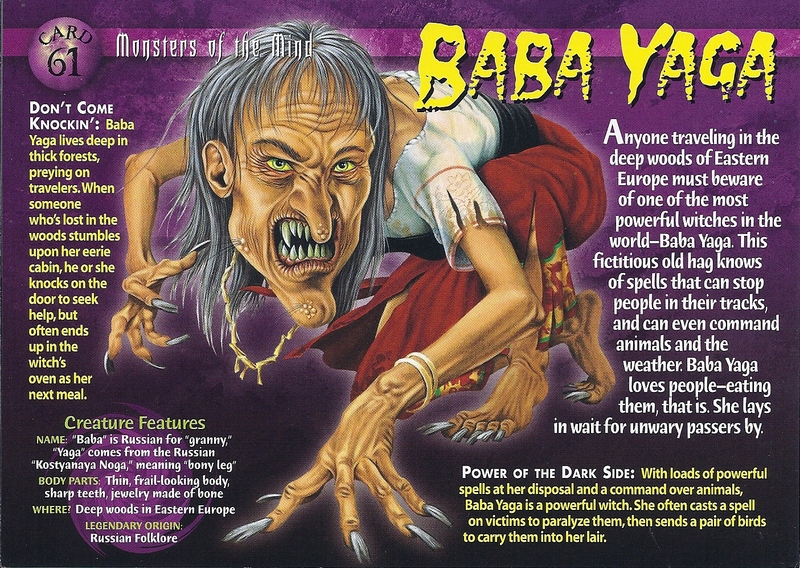 As I approach the advanced platform of being a grandmother, I aspire to not be Baba Yaga to my precious granddaughter, but instead, her #GrownLadyCrush. Wish me luck, and thanks to Sally for showing me the Lady Crush path.